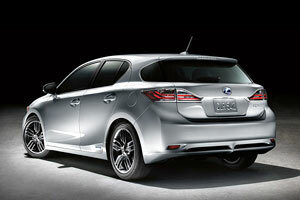 The Lexus CT 200h has earned the Grand Prix award for highest safety performance among all vehicle models rated under the Japan New Car Assessment Program. The CT 200h is the first vehicle to receive the Grand Prix under the new rule structure introduced in 2011. WorldofLuxury: Cool. Now bring on the facelift!